MacGyver: Cancelled or Renewed for Season Three on CBS? Mac can save the world with next to nothing, but does he have what he needs to keep this TV series on the air? Has the MacGyver TV show been cancelled or renewed for a third season on CBS? The television vulture is watching all the latest TV cancellation and renewal news, so this page is the place to track the status of MacGyver, season three. Bookmark it, or subscribe for the latest updates. Remember, the television vulture is watching your shows. Are you? Airing on the CBS television network, MacGyver stars Lucas Till, George Eads, Tristin Mays, Justin Hires, and Meredith Eaton. The reimagined drama centers on Angus “Mac” MacGyver (Till), a 20-something adventurer. Mac creates a secret organization within the US government. There, he uses his vast scientific knowledge and an extraordinary talent for unconventional problem solving to save the world. The second season of MacGyver averaged a 0.83 rating in the 18-49 demographic and 6.86 million viewers. Compared to season one, that’s down by 23% and down by 11%, respectively. Find out how MacGyver stacks up against the other CBS TV shows. MacGyver has been renewed for a third season which will debut on September 28, 2018. Stay tuned for further updates. 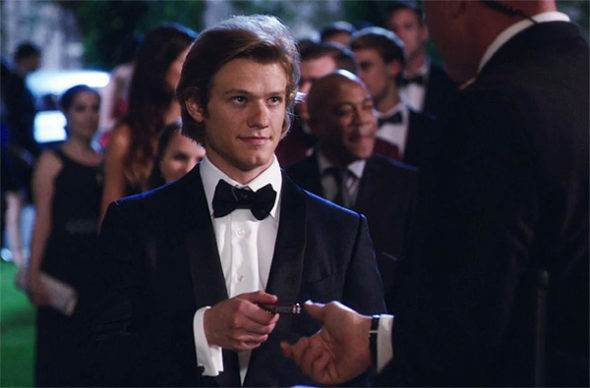 Perhaps only Angus MacGyver could craft a second season pickup out of the tepid demo ratings from the freshman installment of the MacGyver reboot. Fortunately, he had a decent total audience to work with. Although season two has been drawing lower numbers than last year, I suspect CBS will still renew MacGyver for season three. I’ll keep an eye on the Nielsens and update this page with breaking developments. Subscribe for free updates on any MacGyver cancellation or renewal news. 4/18/18 update: MacGyver has been renewed for a third season by CBS. Details here. TV show ratings are still important. Follow MacGyver‘s weekly ups and downs. Check the rankings for current CBS TV shows. Find more MacGyver TV series news or other CBS TV show news. What do you think? Are you glad that the MacGyver TV show has been renewed for a third season? How would you feel if CBS had cancelled this TV series, instead? MacGyver on CBS: Cancelled or Renewed for Season Four? MacGyver: Has the CBS TV Series Been Cancelled or Renewed for Season Two? My son and I really happy that it coming back. This is one of the few shows our 16 year old son will watch with us. This show has truly inspired me to learn more. I recommend it to anyone who thinks learning is stupid – What can I say? It changed my mind … And that’s saying something! MacGyver is an awesome tv show. I really enjoyed watching the first two seasons. I really look forward to watching more seasons to come. I can’t say enough how thrilled I am that MacGyver is being renewed for a third season that was a wise choice on cbs’s part. I really like the characters I get into the characters I don’t want the characters to be changed. This is a good story these are good characters this can go on for years and years I can see a season 12 of MacGyver and would be thrilled if it went on forever. Love this show and def am thrilled if it has renewed for a third season! Yeah!